Watkins products are items that we all need and use in our homes every day, in every aspect of our lives. Essentials for your pantry, medicine chest, home care and personal care, all made with the world's finest natural ingredients and backed by the world's first money-back guarantee. I use Watkins products daily for cooking and baking, cleaning, doing dishes, in the shower, and doing laundry. Petro-carbo salve and menthol camphor rub are must-haves, we couldn't imagine life without them. 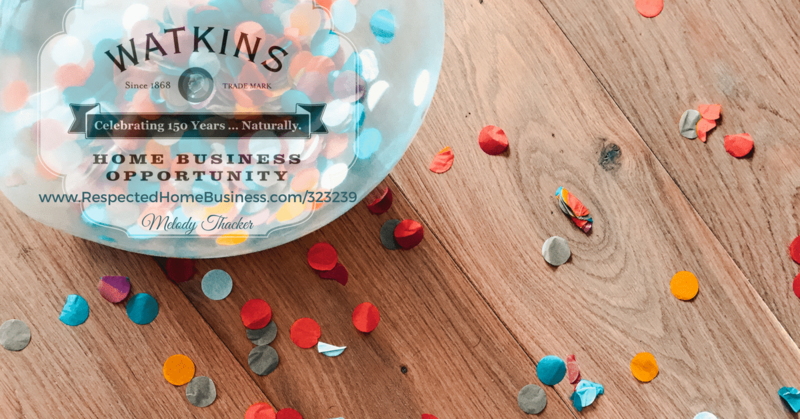 Direct Sales has long been my passion and when I joined Watkins 16 years ago I discovered that passion could build a business and a freedom in my lifestyle I never thought was possible. I enjoy so many aspects of my Watkins business, but the simple things have brought me the most joy. Time with my family whenever I want. Doing a sponsoring call while walking my grandbaby to sleep was a priceless moment. Paying cash for major appliances and other things we need is empowering and feels fantastic! Hearing from happy customers always makes my day. Watching other Consultants spread their wings and fly is one of the most rewarding things. If using Watkins products and/or joining as a Consultant sounds interesting to you feel free to contact me for a free catalog or information packet to learn more. I googled “become a watkins consultant” and got to their business opps page. Try that. i was interested in becoming a sales rep for watkins inc but i cannot find the website where i would go to sign up. can you please provide that for me.